BOSSY BETTY: Monday! Flowers, a Video, and a Blog Suggestion. Could You Ask For More? Monday! Flowers, a Video, and a Blog Suggestion. Could You Ask For More? As you know all of Betty's People get flowers on Monday. Here's yours, up close and personal. A WOMAN GOES BACK TO WORK AFTER THIRTY YEARS....... VIDEO IS ONLY 4 SECONDS LONG SO WATCH CAREFULLY. IF YOU'RE YOUNGER THAN 40 YEARS OLD YOU WON'T UNDERSTAND IT. 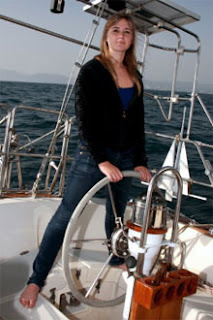 And finally, a blog suggestion: Abby Sunderland is a sixteen year-old girl from this area who is sailing around the world on her own in her attempt to become the world's youngest solo circumnavigator. She is out there by herself, sailing around the world on her boat named "Crazy Eyes." Although there was some controversy about her trip. you have to admire her and wish the best for her on her voyage. Her blog updates always make me happy! Whether you are headed around the world, to the office, or just to the other side of the counter to make pancakes, I hope you have a wonderful week! OMG, that video is hilarious! Hope you have a great week! Mmmmm dahlias on a Monday morning...Thank you!!! I love your photos! They are gorgeous. Flowers, I haven't seen those in a long time. My daffodils are just starting to peek out :) Thanks for an awesome, cheerful blog to follow! Hope you have a great week too. 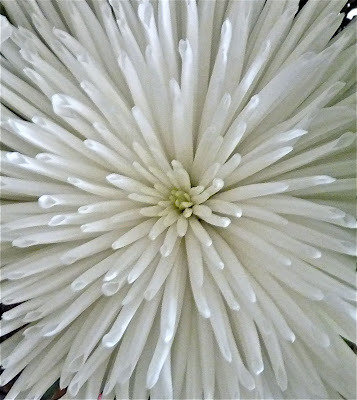 This is my first Monday visit to you, I didn't know I was getting flowers and such a pretty one to boot. I read about that girl recently. I'll have to check her blog out. Gorgeous pic, as always. As a child I LOVED playing with my mom's electric typewriter. It was better than any toy in my opinion. She could plug that thing in and give me a stack of paper and I'd stay busy for hours just typing away. Ha ha. She needs some white out! Thanks for the link. You are bossy and interesting to boot! That is the funniest thing I have seen in a long time!!!!! What gorgeous photography. I'm never going miss a Monday. Love the flower, and the video clip. Abby's blog and her huge undertaking are very impressive. I could not imagine doing this at 16, what am I talking about I couldn't imagine doing it now! That video was too funny! Thanks for sharing it and the link...could you imagine being that girl's parents -- I mean I think it's really exciting -- but ohh the worry!! I am following her now too! Have a great day! The video is so funny, it caught me totally off guard. Love it.